Louis Hoffman, PhD, is a faculty member and director of the Existential, Humanistic, and Transpersonal Psychology Specialization at Saybrook University in Oakland, California. He is also co-director of the Socially Engaged Spirituality certificate at Saybrook as well as teaching in the Consciousness, Spirituality, and Integrative Health Specializtaion, Creativity Studies Specialization, and Transformative Social Change Degree Program. He is a fellow of the American Psychological Association, the Society for Humanistic Psychology (Division 32 of the American Psychological Association), APA Division 52 (International Psychology), APA Division 10 (Society for the Psychology of Aesthetics, Creativity, and the Arts) and the Society for the Psychology of Religion and Spirituality (APA Division 36). Areas of interest include existential and humanistic psychology and psychotherapy, the history and philosophy of psychology, multicultural and diversity issues, international psychology, and spiritual/religious issues in psychology. He is a past-president of the Society for Humanistic Psychology, current president of the Rocky Mountain Humanistic Counseling and Psychological Association (RMHCPA), and serves on the editorial boards of the Journal of Humanistic Psychology, The Humanistic Psychologist, and Janus Head. Additionally, Dr. Hoffman Serves as the co-editor-in-chief of the University Professors Press. Beginning in 2007, Dr. Hoffman has traveled to China 1-2 times a year, frequently bringing students along with him. These trips focus on existential psychology and the psychology of religion. With Mark Yang and Xuefu Wang, he began the International Conference on Existential Psychology, which began in 2010 and has been held every other year in China since the first conference. Additionally, he co-founded the Zhi Mian International Institute of Existential-Humanistic Psychology. The mission of the Zhi Mian Institute’s mission is to facilitate culturally sensitive training in existential psychology in Asia, including identifying and dialoguing with indigenous existential psychologies in Asia. Dr. Hoffman is also active in community service, including serving on the board of The Humanitarian Alliance. An avid writer, Dr. Hoffman has published 13 books and over 100 journal articles, book chapters, and encyclopedia articles. If you are interested in more information about Dr. Hoffman or if you would like to follow his scholarship and professional work, please visit this webpage. Dr. Hoffman also maintains a private practice in Colorado Springs, Colorado. 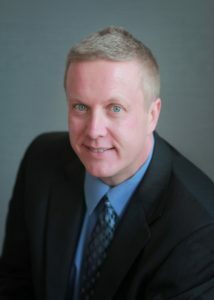 If you are interested in seeing Dr. Hoffman for therapy, please visit his private practice website. The primary purpose of this web site is to provide resources for psychology students and academics, particularly students working with or considering working with Dr. Hoffman. A number of resources are designed for Dr. Hoffman’s classes. Additional information is included regarding working with Dr. Hoffman on essays, Masters theses/projects, and dissertation. Why Emphasize Writing in Psychology Programs?